We are students of 4th ESO in Carmelitas School in Alcoy. This web page has different purposes. First of all, we want to practice English. And learning can be fun. We want to improve our speaking skills, so we are recording a series for you. At the same time, we are learning how to create a blog and a web page, and we are practicing how to edit and record films. Inspiration: do you need some inspiration? Maybe you will find it here! There will be a new sentence each week, so you can be "weekly motivated". Blogs: Do you want to read something interesting? We all have a blog where we can be ourselves and express our opinions. Action! 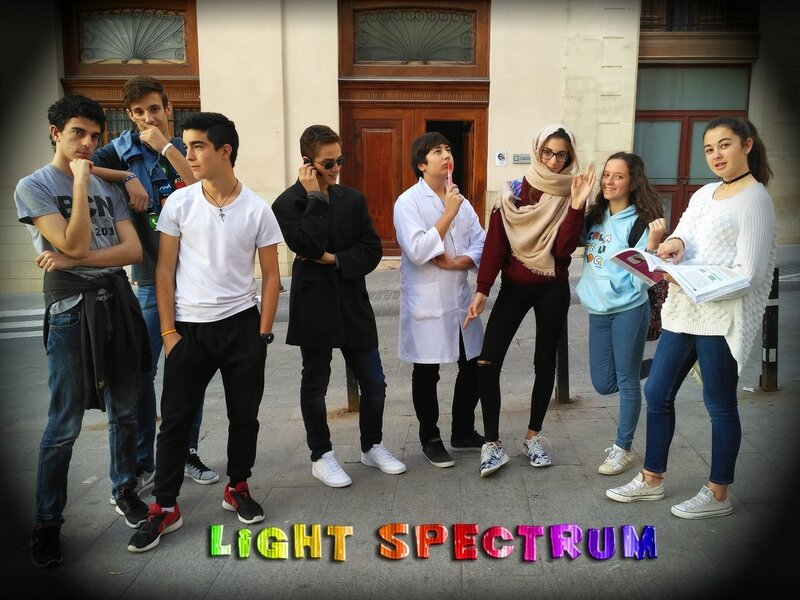 : We are recording an original series called Light Spectrum. Follow us in our YouTube channel! Learning English: Do you need to improve your English? Here you can practice some online exercises.